New Delhi: Adolescents in large parts of the world have it hard. They face a future of uncertainty given the growing xenophobia, harsh climate changes, conflict, migration, extreme poverty, and the growing lack of access to food and clean water. In India, where adolescent girls face specific risks of gender discrimination, sexual violence, early marriage and pregnancy, the challenges are more complex. Young girls struggle with gender role perceptions, lack of role models, peer pressures, coping with bodily changes, menstrual hygiene, family planning choices, choice of career and educational aspirations. “India has this bias against girls driven by many factors”, says Dr Poonam Muttreja, Exeuctive Director, Populaton Foundation. “They regard the girl as a liability, who will be sexually abused or will be sexually active so she has to be gotten rid of. The other is dowry and as the girl gets older, they have to pay more at the time of marriage”. In this scenario, programmes focusing on building their emotional and physical wellbeing are critical. The findings presented by Girls First, a program that was introduced in the states of Bihar, Uttarakhand, Gujarat, Delhi and Uttar Pradesh seem promising. The initiative, started by CorStone India, is working in rural communities where girls are at high risk of early marriage and pregnancy. Girls First aims to equip them with knowledge, skills and support to improve personal resilience and physical health. The age group of girls in the program is 12-16 years; many of them are the first to attend school and face the risk of getting married when they reach puberty. Schoolteachers and local community women play a critical part in the programme. They undergo a training session for a few weeks after which they reach out to the girls. They are the key because they not only teach the girls, but through them take the attitudes home to their parents. 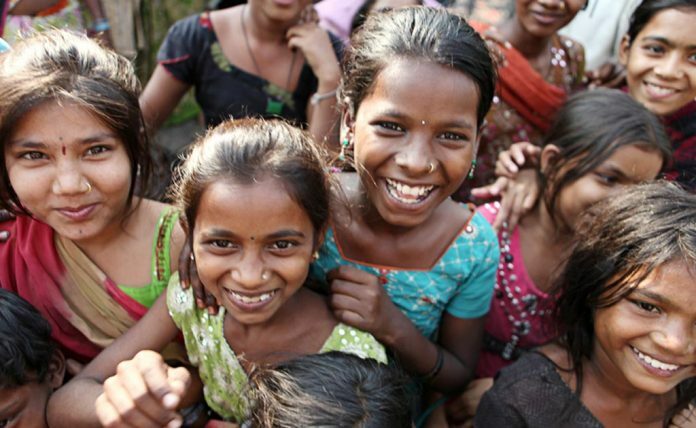 Random control trials done in Bihar four years into the programme showed that emotional resilience increased by 33 per cent, health information by 99 per cent and attitudes about gender equality by 18 per cent. This is very nice information. Thanks for publishing this blog. Really an informative blog. All the content and information of this blog is unique. This is a very nice article for my knowledge. Good Work. We need to change the mind and it comes when we raise the boy child in a different manner. and one thing is that boys and girls both are equal in my opinion. This is a very nice article for my knowledge. Amazing info thanks for sharing. Education for girl child is a good motive. Country will progress only if they get proper education. Thanks for raising the awareness. This is very nice information for my knowledge. I don’t if this is always true and in every possible scenario. This kind of thing is and always will be debatable. Really i appreciate your work. This is the reason i’m daily read your post. I agree. We need better standards and education. I always love the articles of NDTV. I salute to this bravo girl. Nice article I agree with this. 100% agree with this. Awesome article. Thanks for sharing the post, It is very important issues. Yes, Thats absolutely correct but why we always blame boys for every social women critic? Totally agreed with your post. That’s really very important issue you raised. Yes its time for girls and they need it since long time.I hope they will get what they deserve. Yes, that’s the case … thanks for the beautiful post ..
It’s time for Girls. All Girls are best and they can do anything. Yes, its time to change ourself. Definitely, we should rise to fight against it. Amazing Article Great Sir! You did good work. I think girl should get respect and equal importance in the society. First they must get good education and improve their skills. We worship shiv and shakti equally, changes in our system came after 1200 AD. A very good article and we need to bring the change first by changing ourselves and then outside world. Such a wonderful article on the girls, I really agree with you, we need to change our country India, here boys get more priority as compare then girls but now day by day our society start changing. There are certain villages where such types of condition still occur. Love your article. One needs to question the patriarchal system coming from ancient India that drives today’s sick behavior of males towards females in India. When our mythology honors and worships Lord Krishna’s act of harassing, molesting and assaulting women, India creates hell for the women.